First, you should figure out why you are assessing, as well as what you want to get out of the assessment. Depending on your goal, there will be different impacts on the design of your assessment. The goals should be included under the umbrella of your Departments Mission. Establishing proper learning outcomes is the next step to designing your assessment. This is to make sure that you are gathering a snapshot of your specific audience at that time. Developing an assessment plan is also a large part of the equation. 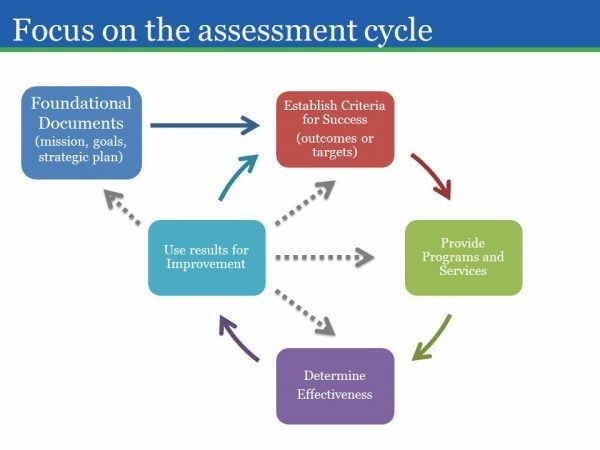 Assessment plans can lay out a timeline for everyone in the assessment group and can help them stay on track. Here are links to an Assessment Plan Template and Worksheet that should help solidify the reasons for your assessment as well as begin to create a plan.